What is Post-laminectomy syndrome (Failed Back or Neck Syndrome)? Failed back syndrome or failed neck syndrome (also called failed back surgery syndrome or “FBSS”) describes the constellation of symptoms that appear after spinal surgery on either the cervical or lumbar regions. Most spinal surgery, such as a fusion, is performed to relieve pain, but in many cases, the pain gets worse, doesn’t change, or doesn’t go away completely. It can be frustrating for a patient who has undergone radical surgery to still face discomfort and the need for further treatment. Several reasons are often pointed to in failed back and neck syndrome. First, back surgery itself can cause problems because the surgeon must operate close to large, important nerves. These nerves can easily get stretched, cut, or bruised during the course of the procedure. Second, some surgery is performed on those without a clear etiology of pain symptoms. For instance, surgery performed to fuse two lumbar vertebrae has a high rate of success when the disc is clearly the reason for the pain. In cases where the herniated disc cannot be proven with radiographic imagery, the success rate decreases. Finally, some back and neck pain is so severe that the surgery is unable to ease the pain, such as in chronic nerve compression, because the nerve may be too damaged by the original injury to ever heal entirely. Anyone who has surgery on their spine has the potential for failed back or neck syndrome. It primarily arises from fusions of vertebrae that do not knit the way they are supposed to. Several issues can inhibit this fusion. First, smokers are at a high risk of the fusion failing because it affects the small blood vessels that allow the fusion to take place. Second, those who fail to participate in rehabilitation exercises following back surgery often find that their pain does not decrease. This is because the physical therapy allows the back to become accustomed to the surgical change, and it is necessary for recovery. Finally, uncontrolled diabetes can lead to a fusion fail because it, too, impacts the ability of small blood vessels to heal tissue. Aside from these risk factors, other patients may find that surgery is not helpful. When the etiology of the pain is not well known, many patients will find that surgery simply does not help. For those who have severed nerves or severe nerve pain, the surgery can help to reduce some discomfort, but generally not all. Using a less experienced neurosurgeon or having open instead of minimally invasive surgery can also affect pain after the procedure. As with most back pain, the type of pain can either be muscular or nerve related. Muscular pain, or point tenderness, is more often a short term source of pain following back surgery. Only rarely does muscular pain persist to the point that it could be classified as failed back or neck syndrome. However, the change in the mechanics of the back and damage to nerves can lead to muscle spasms that are secondary to the primary cause of the surgery. In this case, aching, cramping, and soreness are experienced around the site of the surgery. 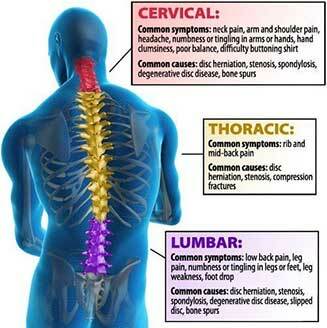 Nerve pain is the most common reported symptom of failed back or neck syndrome. This means that you will experience shooting pain, tingling, or weakness in the extremity impacted by the back surgery. You may also find that some of the nerves around the surgical site are painful as well, manifesting as localized numbness. Most of the time, this nerve pain is the same as the pain you experienced before the back surgery. It may become worse, stay the same, or diminish somewhat. Only after focused physical therapy and the passage of several months can failed back or neck syndrome get diagnosed properly. Since this condition occurs after spine surgery, your surgeon will likely make this diagnosis. Continued physical therapy is important to helping your back become as pain free as possible. Chiropractors are another good resource when attempting to recover from back surgery that was ineffective. Pain Medicine physicians are usually called upon with this condition because they are experts in treating chronic pain. 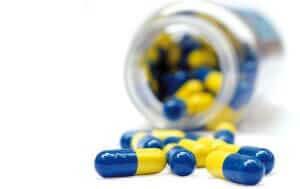 Medications such as anti-seizure medications and certain antidepressants can ease nerve pain are the first line of treatment. However, often they have been tried prior to surgery. If therapy and medications are not providing enough relief, your Pain Medicine physician may perform a spinal cord stimulator trial. A spinal cord stimulator, replaces the pain signals sent from the damaged nerves with a more comfortable buzzing sensation. The procedure involves placing a temporary spinal cord stimulator wire with programmable electrodes at the ends into the epidural space. These electrodes are connected to an external battery operated programming device that can matches the buzzing sensation to your painful area. If you are pleased with the pain relieving effects of the spinal cord stimulator trial, then arrangements can be made to have a spinal cord stimulator placed permanently. 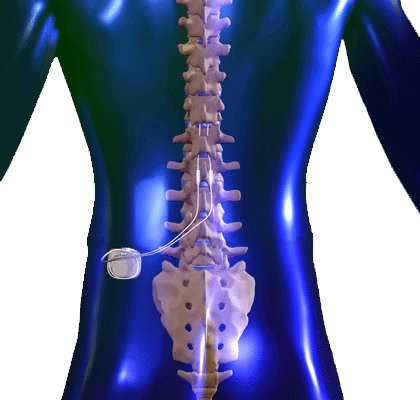 In a permanent spinal cord stimulator the entire apparatus is placed in the body, including the rechargeable and programmable energy source. Many people with Post Laminectomy syndrome feel that spinal cord stimulators have given them a second chance at having a more normal functioning life.